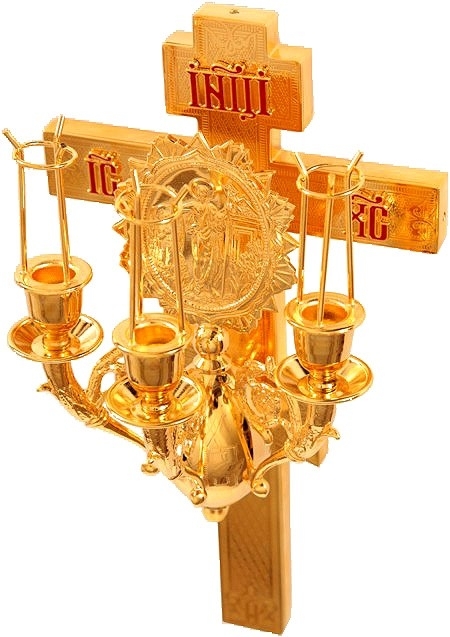 Is your Orthodox Christian church in need of a new wooden Paschal candle holder? 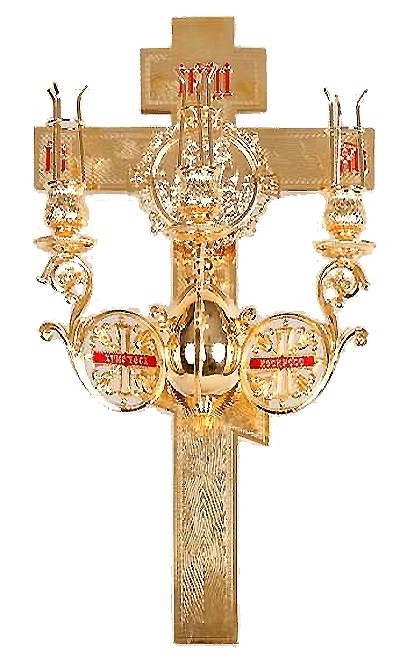 We present a wide range of Paschal candle holders in different styles, sizes and finishes. 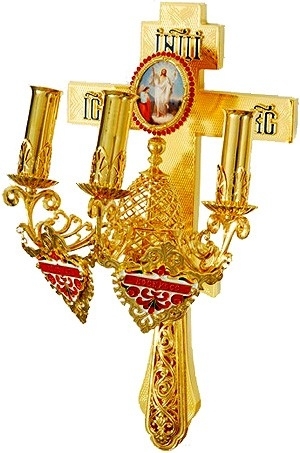 The Paschal candle stand or trikirion features three candle holders to represent two things - Christ’s resurrection on the third day and the Holy Trinity, who are believed to have played an important role in the salvation of humanity. 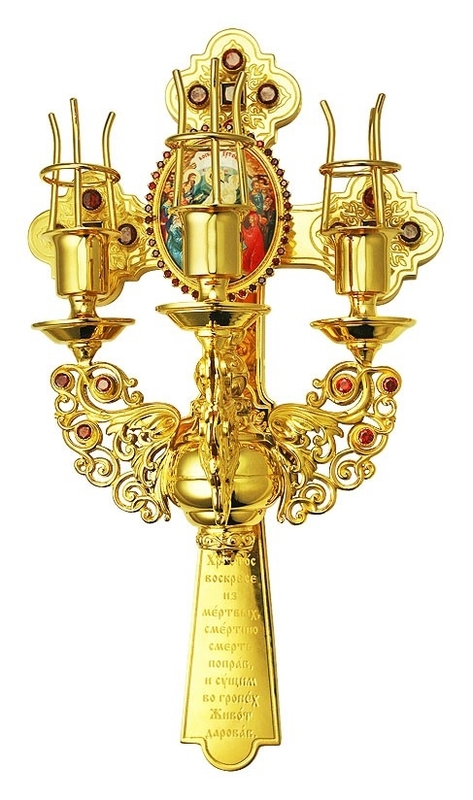 This liturgical triple candle holder is held by the serving priest and is used during Paschal time. 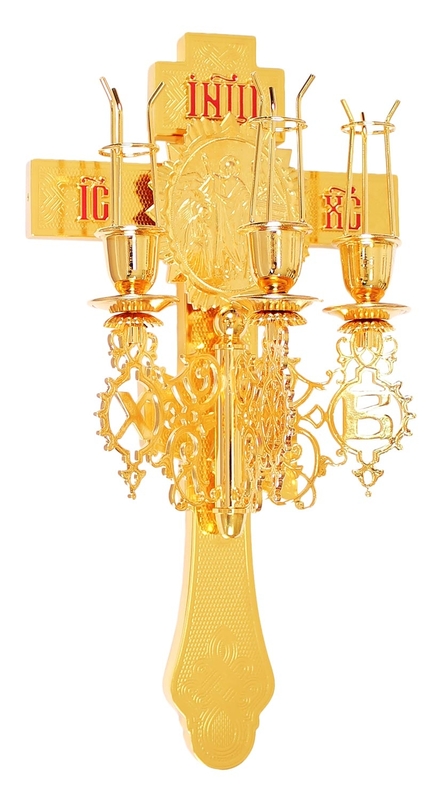 Our Orthodox Paschal candle holders for sale are masterpieces of craftsmanship. Made in Europe by craftsmen with skill in hand casting metal for church furnishings, you’ll find them in striking traditional designs. 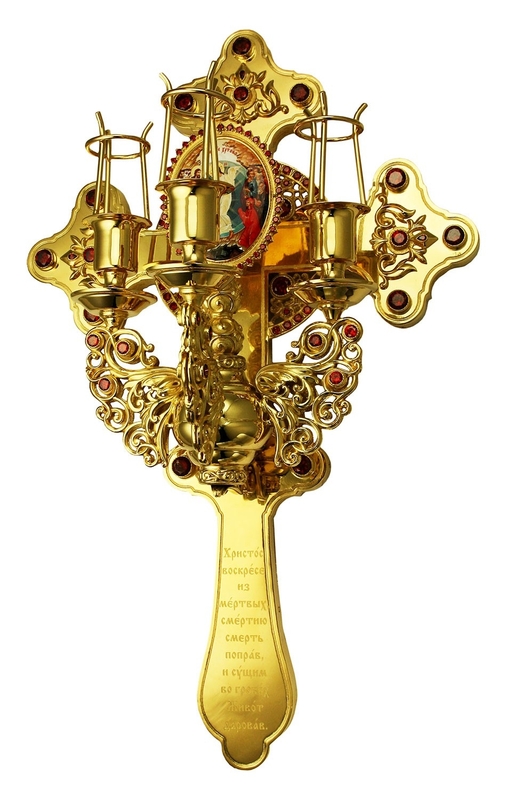 Some of them are enriched with gold gilding, filigree, and colorful enamel decorations – suitable to grace the interiors of any Orthodox Christian church. Excellent quality material, traditional designs, high polish and work by hand – these characteristics make our Paschal candle holders truly special and a class apart. 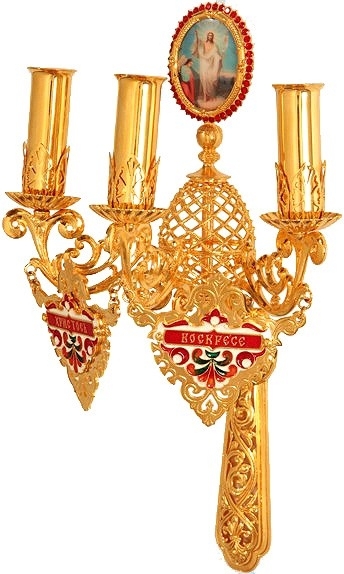 Our Orthodox Paschal candle holders for sale are available in the Slavic style. Stands fashioned in the Slavic tradition do not have flat bases for support like in the Greek style. 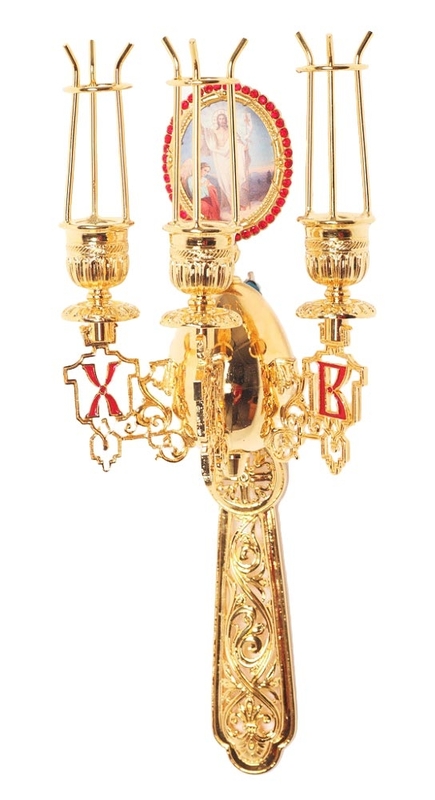 Instead, the candle holders are attached to a sign of the crucifix and have a long vertical handle that makes it easier to carry them. No matter which style you select, you are sure to make a winning choice. Our candle holders come in various dimensions and customers can select a size that suits their purpose. Although our candle holders are rich in decoration and design, you’ll be pleasantly surprised to find that our prices are very reasonable!